Is dry winter weather stripping your hair of natural oils? such as unwanted dryness. Look for a shampoo that is specifically formulated to moisturize and replenish your hair when you wash. Better yet, look for one that is made with nourishing hair care oils—such as an avocado oil, an Argan oil, hemp oil and marula oils that have become even more popular because of their notable soothing and moisturizing properties. Marula has been around since ancient times. We recommend Evolve Argan Anti-Frizz Shampoo and also our New Marula and Hemp Oil to correct winter dryness. You should always condition your hair immediately after shampooing. Hair conditioner should be an essential part of your hair care routine and will help prevent dryness. Do not skimp on the time you leave your conditioner in! For the best results, follow the instructions on the bottle instead of just rinsing out right away. Maintaining proper hair hygiene is important but washing your hair too often can strip it of its natural oils. 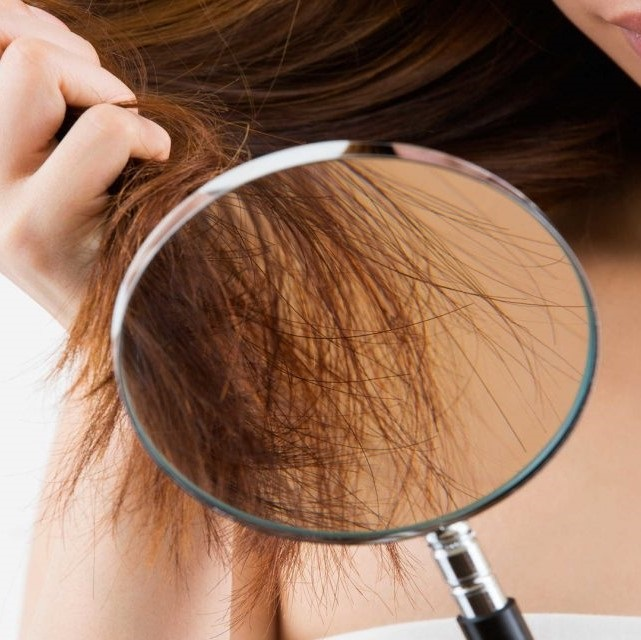 Nobody wants greasy hair, but it may not be necessary to wash your hair every day, especially if dry hair is a problem for you. If you have curly hair it can be more prone to dryness, so if you are blessed with natural ringlets, it’s wise to lay off the lather. Washing your hair a few times a week should be enough. Of course be sure to use a gentle deep conditioner (as mentioned above) to keep hair looking and feeling nourished. After washing hair, pat—don’t rub! —your hair dry. This will help prevent additional moisture loss. Dry shampoo is also a great way to stretch the time between shampoos. Just like you should use a regular shampoo that’s formulated for your hair type, you should also use a dry shampoo that’s fit for your hair. It can also add hair volume, texture, and a mattified appearance to the look of your hair! We recommend Evolve Freshen Up Dry Shampoo for those with Curly hair and for those with Fine texture needing a body boost too then try Evolve Dry Texturizing Spray.